When you plan for a successful zoo trip with kids, you need to know the zoos in Branson that offer different animal attractions which your kids surely love. Some of these zoos in Branson include the Promised Land Zoo, National Tiger Sanctuary, and Branson’s Wild World. Going to any of these zoos is a fun time for all ages, especially children. When it’s their first time, you can see their eyes open in amazement as they look upon a scary tiger for the first time. Looking closely at the incredible creatures is something they will talk about when they get home. Today, zoos in Branson not only allow everyone a fun time, but an educational one as well. In fact, schools today are inviting schoolchildren on day trips to the zoo to teach them about the descriptions of different animals as well as protection and conservation for them. Everyone agrees that making a day trip to the zoo is fun – but it can easily turn into a nightmare if you do not plan well. 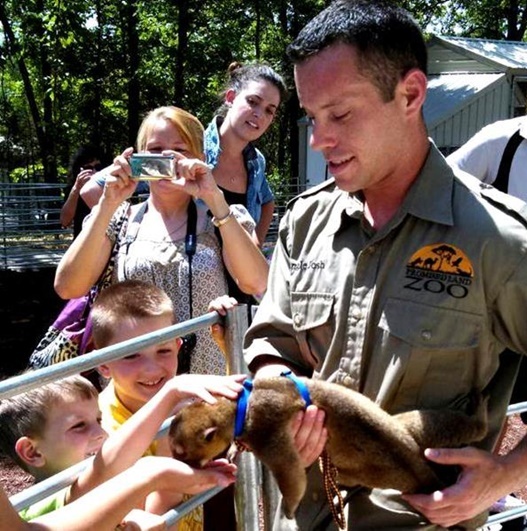 To make a successful zoo trip with kids, you need to learn tips to make everyone enjoys a fun-filled adventure. When planning for a zoo trip, you need to take some time and check your local zoo website for special events and schedules. This way you can pick the best time which might have some special features that your kids can see which are usually included in the admission ticket. By checking out the features of the zoo on its website before the day of the trip, you can choose the attractions you would like to visit first to avoid wasting time upon arrival and decide where to go. When visiting the zoo in the summer, it can bring about issues with hot temperature, so you need to be prepared. The temperature during summer can be unbearable at times, so it’s always a good idea to be prepared. If you bring along kids for a zoo trip, dress them appropriately. Little children tend to get hot quickly. Bring extra change of clothes, sunglasses, sunscreen, hats, and lots of cold, iced-down water. Most zoos in Branson discourage guests in bringing drink with straws as it might drop in animals’ mouths. Bottled water is a better choice. To make your zoo trip with kids more enjoyable, you need to bring lunch from home. Although most zoos have snack bars, the lines can be long and the prices can be expensive as well. Prices at the zoo can easily cost over $50 for lunch for a family or four. Way over your budget. So, it is better to pack a lunch from home with a little help from everyone in the family. Don’t bring food items that will melt like chocolate. Choose sandwiches, pretzels, fruits and raisins as these are easy to eat. Going with kids to the zoos in Branson is a learning experience that allows everyone to look closely with the incredible creatures.